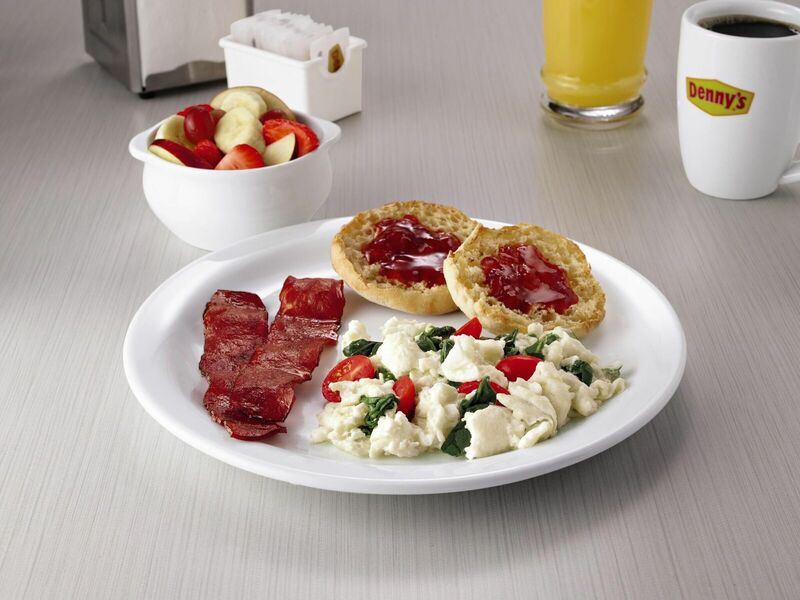 Denny’s has teamed up with Lucasfilm to give fans some cool and exclusive Star Wars items. 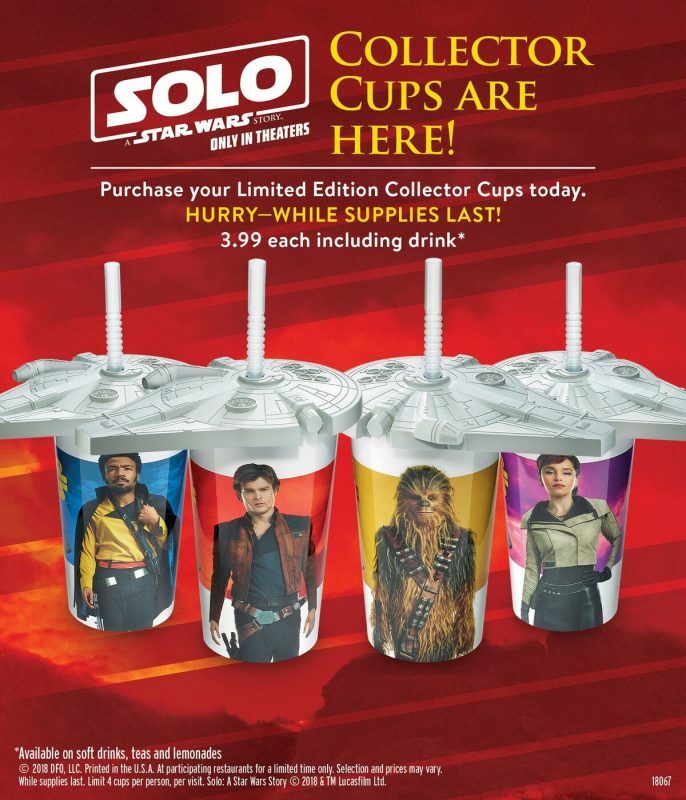 With Solo: A Star Wars Story coming out in May, fans will get the chance to collect trading cards and collectible cups and eat Star Wars-themed food. And by caving into your Star Wars addiction, you’re also helping out the No Kid Hungry charity. For $3, you will get 2 trading cards and 1 coupon. (You can collect up to 12 character cards.) The cards also contain puzzles, so collecting cards 1-6 will complete Puzzle A and 7-12 will complete Puzzle B. Characters include Han Solo, Qi’ra, Lando Calrissian, Chewbacca, Range Trooper and more. A portion of all trading card sales will benefit No Kid Hungry. The cups are $3.99 each and feature a character from the film. The lid is shaped after the Millennium Falcon. 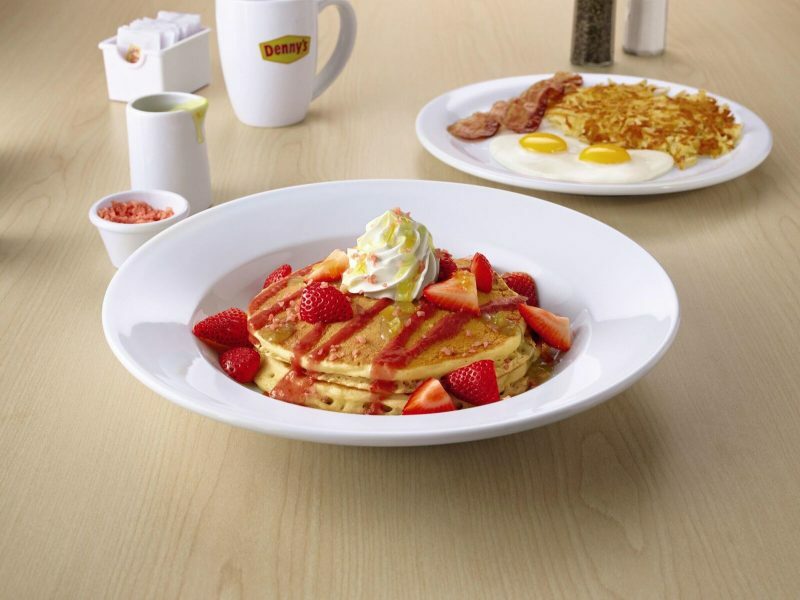 For added effect, pour the Crystal Crunch Rocks on top of the pancakes, and then pour the warm citrus sauce. This will make them pop as if they’re alive. Who says you can’t have fun with your food? 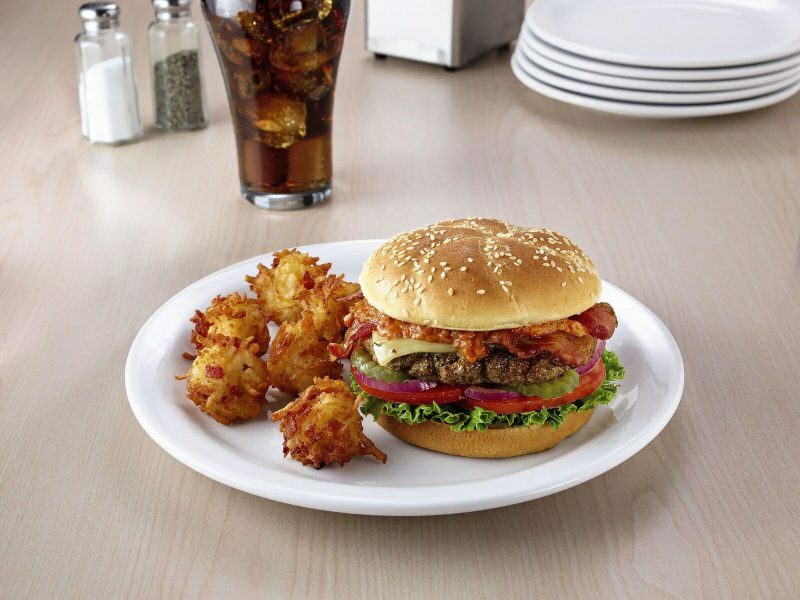 For a little kick, try the Blaster Fire Burger. It contains Chipotle Gouda cheese, bacon and spicy Ghost Pepper sauce to make your tongue tingle. 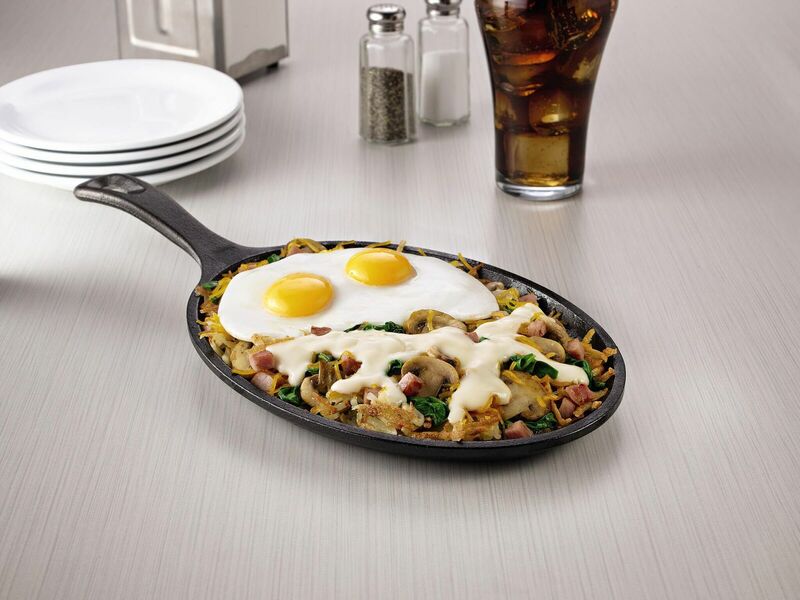 Sure, it’s just two eggs on top of a skillet, but if you’re a Star Wars fan, it may remind you of the twin suns of Tatooine. 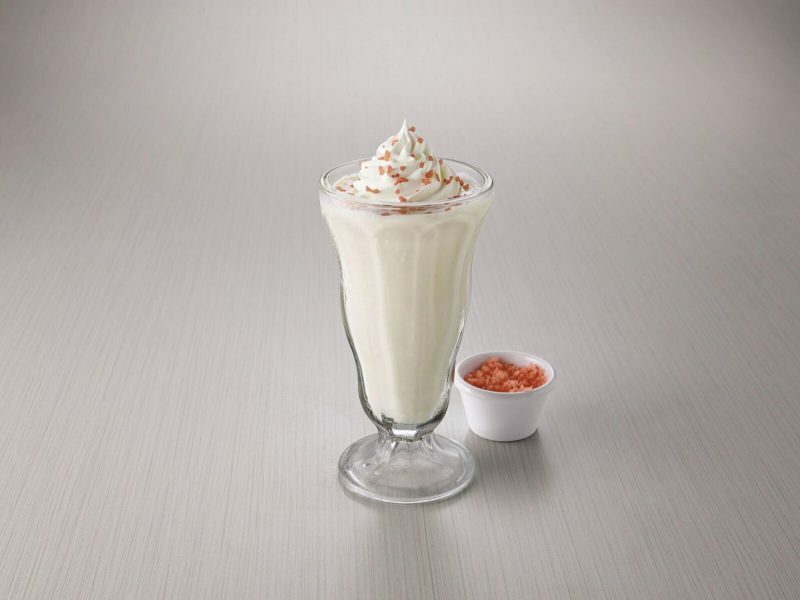 With the Crystal Crunch Rocks, you can have your favorite milkshake pop with excitement. And check out the Solo and Denny’s commercial featuring Star Wars creatures and a game of Sabacc. 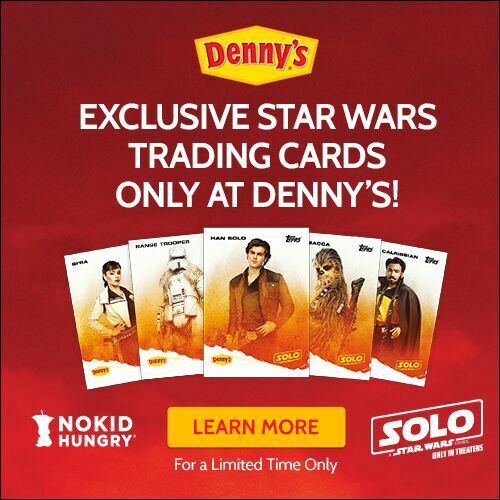 The post Denny’s to offer Solo: A Star Wars Story cards, cups and themed food appeared first on Nerd Reactor.